Only 90 miles off the coast of Florida yet seemingly out of reach for most Americans, Cuba just got a whole lot closer. Tourism to Cuba remains banned, but travelers who fit into one of 16 categories can visit the country, without a case-by-case approval by the government, as was previously required. These are known as general licenses. Since December, when President Obama announced the new regulations, Cuba tour groups and websites have reported seeing a huge uptick in web traffic and requests related to Cuba. Florida based agents wish to cash in on this new market and have decided to use Travelucion as their main Cuba media outlet. Travelucion will receive an advertising royalty on each package sold under this new online marketing promotion. Cuba has long been the forbidden fruit for American tourists. Just A 30-minute flight from Florida, it already draws enough people from Canada and Europe to make it the Caribbean’s third-most-popular tourism destination, just trailing behind Puerto Rico and the Dominican Republic. Cuba gets about 3 million visitors a year—just 90,000 of them from the U.S. but this last figure is set to soar over the coming months with real expectations of over 300,000 American visitors in Cuba for 2015. With Americans now searching the internet for information concerning Cuba in record numbers we´ve decided to create the Cuba 101 list of best websites and online booking centers. Where should an American Visit? Obviously Cuba’s capital Havana is a big hit with our fellow Americans but, there are so many colonial cities begging to be discovered. 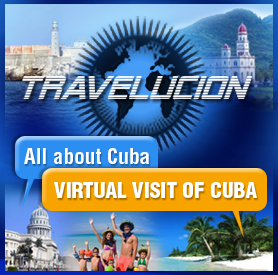 Worldwide Online Digital Media Giant Travelucion released another barrage of free digital Cuba travel guides at the Havana FITUR Travel faire in 2014. These websites are proving to be the Holy Grail for Americans thinking of visiting Cuba and include rare glimpses into Havana’s Capital Building or the infamous Havana Malecon Esplanade. Since 2014 they´ve released the rest of their free virtual Cuba Guide Service totaling no less than 84 Cuban city focused websites, all with interactive booking of everything from Casa Particulares (home stays similar to AirBNB offerings) to flights, Cuba car rental, bus services, hotels, Mobile Phone offices and even dolphin park tickets. Booking Travel from USA to Cuba directly? 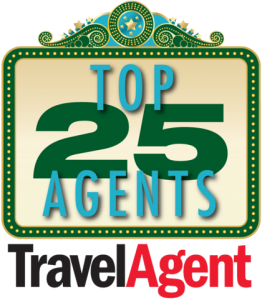 Choosing the right operator is essential and Havanatur has been at the Cuba Travel game for over 20 years. While most of the sales are carried out online, their offices and call centers in Europe and the Americas are a convenient advantage. Booking through their online chat also proved to be painless and quick. Havanatur offers everything, Flights, Hotels, Car Rentals & tours but doesn’t provide information on private businesses like Casas or Paladar Restaurants yet. Cuban Road trip for Americans? Many of us are looking for the type of trip to Cuba that includes numerous historic cities and the only viable way to do this is by renting a car in Cuba. You can´t rent an Old American Classic Car for this type of trip because these are only chauffer driven and generally used as taxis but, Cuba’s Transtur Rent A Car offers a myriad of options from SUVs to Luxury BMW & Audi Cars. Once again, due to the low volume of vehicles (for now…) in Cuba, Americans are urged to book in advance if visiting Cuba on four wheels is the plan. If you’re looking for a hotel stay Hotel-Cuba.com is Cuba’s largest room consolidator with over 300 hotels and a further 400 private homes available for instant online reservation. Offering USD payments along with another 26 currencies, the selection and sheer volume of Cuban Hotels available is mind blowing. Cuba has a unique and quirky culture which can be difficult to get to grip with. Cuban Culture.com and the myriad of linked websites is probably the best starting places for a Cuba newbie. As central point to Cuba’s Tourism Ministry offers, it also acts as an online hub to literally hundreds of websites, official and privately owned covering every feasible aspect of Cuba. Another popular website is WikiCuba.com which is currently linking to AllAboutCuba.com due to its massive overhaul, presumably due to the increased interest in Cuba. We´ll continue to update this section as and when new websites become available. Havana is just 90 miles from Key West yet; one would think the island is on another continent. Firstly, if you choose to travel independently, all arrangements must be made through an agent located abroad since Americans are not allowed to transfer money to Cuba. This particular portion of US law has many people confused because many foreign agents are located in Cuba and offer billing for their services outside of Cuba. However, the treasury department is extremely clear in this regard as it considers any agent located in Cuba, whether purportedly foreign managed or not, as a National of Cuba. Therefore, the first thing to check when booking travel with an agent abroad is: Do they have a physical presence in Cuba? Can you find a Cuban address or Cuban phone numbers on their website? Both or either should be a big red flag, since dealing with them could cause serious and irreparable inconvenience and possible fines. Many of these companies, eager to make a buck, will happily bill your travel services through a third country, however, because Cuban banks cannot charge American credit cards anyway, Cuban domiciled agents have to bill through third countries anyway and this is not a viable loophole as far as the US law is concerned because any agent with a physical presence in Cuba is deemed a “National of Cuba” by the US authorities. Simple. Instead, choose an agent with no physical presence in Cuba. Visiting the country legally is easier than a few years ago, but the process can still be complicated. There are laws that restrict you to a set itinerary and limit how much you can spend per day. 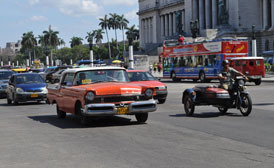 And if you choose to travel independently, as stated above, all arrangements must be made through an agent located abroad since Americans are not allowed to transfer money to Cuba even through intricate payment systems domiciled outside of Cuba (and the US) but pertaining to a company located in Cuba, whether Cuban or foreign controlled. 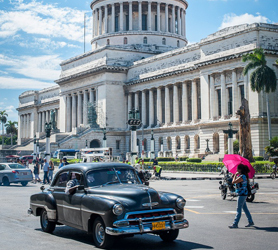 Cuba has now resumed the processing of visas, so you can book through a licensed US travel company, such as InsightCuba, GeoEx or Abercrombie & Kent, these companies issue group official visas and are licensed to do so. On these trips, called people-to-people groups, all of the paperwork is done for you. The downside is that while there are numerous trips from which to choose, you will be restricted to that itinerary and will not be free to roam the country on your own. Visiting close relatives; participating in religious activities, conducting any form of research, and enrolling in an educational program are among the eight designated “general licenses” allowing Americans entry to Cuba. This method takes more time and effort than using a US based travel specialist. You will need to keep proper documentation of your activities in the country for up to 5 years but it will offer you much greater freedom on the ground. The broad spectrum of “research” is almost immeasurable in its scope. But, if you keep a detailed log of your research and preferably document it with photographs or video, the ability to visit Cuba to research just about anything is within anyone’s grasp. Of course, the freedom garnered by traveling to Cuba independently is absolute. If you choose to travel independently and feel you have a subject you wish to research or, you fall under one of the above criteria, booking your travel to Cuba is relatively simple. Ask for assistance on the chat button shown on this website and your bookings will be handled from Europe, all bookings billed through non Cuban entities and, certainly not companies domiciled in Cuba, whether foreign or Cuban controlled. For over two decades Cuba has been one of the worlds few destinations where in order to receive a hotel confirmation, one had to prepay the whole stay, days, weeks or months in advance. Some visitors having prepaid thousands for a hotel stay in Cuba six months or more in advance. But not any longer! Recent sweeping changes introduced in July 2013 mean that you can now secure your hotel booking in Cuba without the draconian 100% payment regime imposed until now. Apparently, due to dwindling hotel bookings and a marked preference for the “pay on arrival” casa particulares, the Cuban tourism officials have introduced these new measures designed to increase hotel room sales and stimulate bookings. Hotel Bookings Cuba is the first of such booking platforms. The hotel chains currently allowing 100% confirmed bookings without prepayment are; Melia, IBEROSTAR, Occidental, Gran Caribe, Cubanacan, H10, BE LIVE, Breezes, SOFITEL, HABAGUANEX, ACCOR, ISLAZUL, SANDALS, Gaviota, BELLEVUE, MEMORIES or Mercure. The system operates similar to familiar world standardized hotel bookings where a card is provided during the booking process, however, unlike before, the card is only charged after you have checked into the hotel. The card is not required at check in because it is charged automatically once the hotel advises the system that you successfully checked in, at which time the charge is completed without your involvement or any local payment being required. In all intents and purposes, it operates much like a prepaid booking for the hotel check-in formalities because the hotel need only advise you´ve checked in order to obtain full payment from the booking system. Another welcome feature is the multicurrency billing, which now means that hotel rates are shown in all major currencies instead of just Euros or CUC. With thousands of successful bookings since July 8th (when the system rolled out), the coordination has proved faultless, with guests receiving their guaranteed Cuban hotel booking upon arrival without hiccups. With world economies still affected by financial crisis, it is more than likely that this decision was taken to align Cuba with the rest of the world. After all, paying months or up to a year in advance may have deterred visitors from choosing Cuba when destinations like Jamaica, Dominican Republic or Miami have been allowing non prepayment of hotel rooms for over a decade. We think that Cuba may be looking to cash in on these organized travelers who book well in advance but, until now, have steered clear of Cuba due to the immense payment required to secure their hotel stays. With Cuba Hotel Bookings now firmly in the 21st century, we can only expect tourism numbers to increase in 2014. 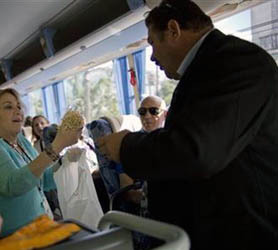 Americans traveling to Cuba usually travel with the intent of helping the Cuban people. Recent data acquired from Cuba indicate that the current hotel rooms available on the island total 64798 hotel rooms. However, a seldom released figure is that of casa particulars or home stays, often the preferred accommodation route for Americans visiting Cuba, over the past 3 years, these home stay rooms have increased exponentially with 6115 rooms now being offered by private Cuban citizens to visiting tourists in 2013. Another figure that is startling, is the amount of private restaurants in Cuba which this year totals 2242 licensed private restaurants in Cuba. 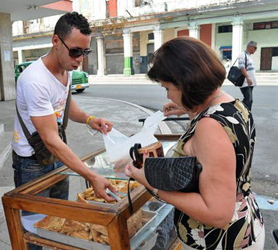 Raul Castro´s push to open the private sector seems to be firmly underway, as numbers of entrepreneurial Cubans increase exponentially across the island. Americans visiting Cuba also tend to travel around more than visitors from other nations. Canadians being the most sedate visitors to the island, they tend to stay not only in one location but, also visit All-inclusive Hotels and seldom leave the confines of their chosen Cuban Hotel. The recent increase in American visitors is spurring a rethink of accommodations. The Cuban tourism ministry MINTUR is worried that any further easing of US travel restrictions to the island could leave many of their staple markets such as Canada, United Kingdom and Russia without enough rooms. Recent transcripts of speeches made by Manuel Marrero, Cuba´s tourism minister, indicate that the authorities are taking action now to increase hotel room numbers to 85,000 rooms by 2020 and casa particular numbers to 9000 rooms. 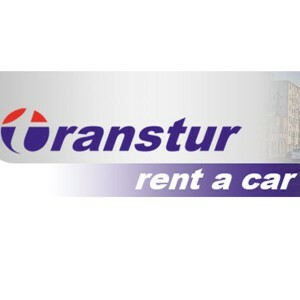 Other figures from Transtur, Cuba´s main Car Rental Company, show that the numbers of Americans who rent cars far exceeds the average percentage of any other nationality. So, while American visitors to Cuba are still counted in the 10´s of thousands, the amount who rent cars is extremely high. 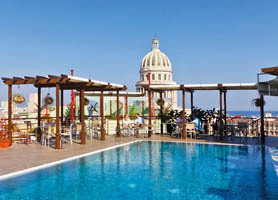 Old Havana Hotels continue to be the main choice for Americans looking for Hotels stays in Cuba. Obviously, this is directly related to the people-to-people Cuba trips currently favored by Americans because Old Havana offers the most varied selection of locations where these programs can visit. Of course, tourist locations such as Varadero or Cayo Santa Maria, while popular with international visitors, are still largely devoid of the Cuban Culture Americans search. Furthermore, these purely tourist enclaves are difficult to match with People-to-People trips to the island. As numbers of Americans visiting Cuba slowly increases, allied to possible further concessions by the Obama administration, it will be interesting to see if Americans gravitate to beach vacations like their Canadian neighbors or, whether they stick to a more culturally rich travel agenda as is the case today. The recent hullabaloo concerning the vacation of Beyonce Knowles and Jay-Z in Cuba has disturbed an apparent wasp nest of critics & hardliners in South Florida. Yet, the list of US stars who have visited Cuba in recent years is mind bogglingly long, including such celebrities as; Jack Nicholson, Woody Harrelson, Danny Glover, Stewart Copeland, Benicio del Toro, Bill Murray, Sean Penn, James Caan, Bonnie Raitt, Montell Jordan, Michael Franti, Amy Ray & Emily Saliers (Indigo Girls) and countless other American singers, musicians, actors, sports stars and celebrities have visited Cuba. So why can all these fellow Americans visit Cuba yet you can’t? It’s probably more your belief you “can’t” than actual rules that prohibit your trip these days. If your trip is associated with academic research of any type, you automatically qualify for what is known as a “general license”. The general license is also known as the “paperless” permit to visit Cuba. It is called this because American visitors to Cuba who are traveling for academic reasons do not need to pursue any specific permit from the United States Treasury Department (OFAC) so long as they document their trip and, it be for a demonstrable academic reason. Obviously, if you are visiting Cuba to add Cuba related content to your blog or you decide to write an unpublished paper outlining your trip, then this falls under “academic” and as such requires no license. In fact, thousands of Americans are visiting Cuba for research purposes, one could easily consider any trip to any nation as research, right? On the other hand, there are the people-to-people permits, recently brought into the spotlight due to the fact that Beyonce Knowles and Jay-Z visited Cuba under the auspices of such a license. The Cuba People-to-People license must include contact with the Cuban population (pretty difficult not to do that right?) and spending time at cultural venues, listening to Cuban music or wandering around the Old Town of Havana. Probably sounds great to you? What else would you want to do? I mean a few Mojitos and Cuban Rum is not prohibited on these trips, neither are Cuban Cigars as Jay-Z proudly showed us in the press photos during his visit. So, was the Beyonce and Jay-Z´s visit the Obama administrations way of telling us that basically any American can visit the island if they mix into their trip some of the things we all do on vacation anyway? Sightseeing, listening to music and meeting the locals? It could be that the high profile visit of this star couple and the fact that they are personal friends of both Barack and Michelle Obama, may not be mere coincidence. The visit to Cuba of this couple has undoubtedly generated more publicity than all of the previous US celebrities who have visited the island in recent years. After all, does anybody remember when Bill Murray visited the island? Yes, it would appear that “travel to Cuba” and “American” can now be pronounced in the same sentence without much fanfare. The caveat is, these days, no McCarthy hearings or FBI visit will follow your trip. So, unless your Beyonce or Jay-Z, it’s quite probable that you have little to worry about, providing you adhere to the aforementioned tremendously vague guidelines. 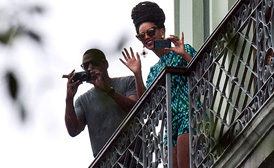 The recent trend of high profile Americans visiting recently don’t get much bigger than the star couple Beyonce and Jay-Z in Cuba. Dining at the La Guarida paladar restaurant in Old Havana with their mothers, they later wandered around the old town and colonial old city causing quite a stir with Cuban school children. While Jay-Z is not a popular music star in Cuba, Beyonce is well known and she saw many of her CD´s being bootlegged in Cuba´s capital. Music stores selling western music are totally absent on the communist island. Beyonce and Jay-Z are visiting the island on a cultural exchange visa also know as a people-to-people visa. There trip was organized ahead of time but was kept secret. The motive for the trip was their 5th wedding anniversary. The couple was married in Paris 4th April 2008 and decided that this year would be the big island south of Florida. There trip will take them to Cayo Santa Maria, a remote island recently opened to tourism offering 5 star hotels on Cuba´s pristine white sand beaches. Both Jay Z and Beyonce have visited the Cristo (Christ) statue which overlooks the bay of Havana and also visited the cathedral square and bodegita del medio bar. Staff at the privately owned La Guarida restaurant said that Beyonce was interested in past stars like Jack Nicholson who have been to the restaurant and browsed photos of other American personalities who have dined there. We are told the trip organized by Havanatur and an American agency Insight is said to have been the most anticipated trip for some time for the couple who have travelled the world but never to Cuba. As numbers of Americans visiting Cuba increases, the embargo and travel ban seem to be eroding into a distant distraction seldom respected, even by travelers of this caliber. The reelection of president Obama and the recent senate approval of John Kerry to replace outgoing secretary of state Hilary Clinton are boosting American travel to Cuba with numbers not even seen during the Clinton era. One American interviewed at Cancun airport before their ongoing departure flight to Havana´s Jose Marti said “it’s never been easier, under Bush I´d come once a year and be watching my back, these days nobody cares”. It seems that the general consensus is one of complete lack of interest in sanctions and the sentiment that complete relaxation of the travel ban is on its way. Upon our arrival in Havana we headed out to the Bodeguita del Medio, the famed bar just off the main square in Old Havana. Hoards of people were coming in and out of the place and almost immediately we picked up on two southern US accents. A couple of students in their mid 20´s from Louisiana had decided that it was time for them to visit Cuba. Yes, not on student visas nor doing any research, just here, wandering around the crumbling buildings and having pre spring break, break. At the Hotel Nacional we found yet more Americans while sipping a daiquiri on the lush garden terrace behind the hotel. Of course, we are not suggesting we met hundreds of Americans but the difference is palpable. Cuba´s Ministry of Tourism have also declared that 2013 will be their best year yet since the communist island first started welcoming foreign tourists again in the early 90´s when funding from the Ex Soviet Union dried up almost overnight. However, tourism appears to be a means to end for Mr. Castro, a shrewd bet on foreign tourist dollars, yens, rubles and pounds to replace lost income from the islands aforementioned past benefactor. The delicate situation of Venezuela’s Chavez is also street talk in Cuba today. Cuban´s of all ages voicing their opinions and worry of what will happen if Chavez´s brotherly gestures of free oil and financial aid abruptly ends. There is real worry. For the first time in decades there´s a real prospect and sentiment that US tourism dollars could be on their way, a sort of uncalculated capital injection which will fortify the “revolution” for another 5 decades or more. And Raul Castro´s government is doing all it can to spur such an influx in a massive but subtle way. Just recently the dollar exchange rate was de-penalized and the 10% fine for changing USD eliminated. A clear sign that the government not only wants more greenbacks but that they are gunning for a new market they no longer feel easy penalizing. Secondly we have the odd move to remove all taxes on phone calls between the US and Cuba. We´re betting that this too was to promote increased contact between the two nations and the invariable rapprochement of personal ties this will no doubt incur. Even Havanatur, recently present in the New York travel trade fair, made bashful projections concerning their new VIP services for affluent (American?) tourists. Cuban official clearly know that their current room accommodation numbers and hotels would burst under any type of US travel relaxation and thus are looking to take Cuba as a destination up market, essentially meaning fewer tourists bringing more money. Rates on all hotels have quietly been raised this year too, Melia Hotels for instance, being ordered by their Cuban partners to raise rates by anything between 20 and 40% on most hotels. Yes, the sentiment is that the very soon there´ll be more tourists than available rooms and Cuba is getting ready right now. For many Americans, now could be the time to visit Cuba. Rates are still within the ballpark of most pockets and Cuba is still in the midst of a financial meltdown which always makes for a budget vacation. There´s also the fact that Cuba is still Cuba at present but will it be that way once travel restrictions to the island are relaxed? Probably not. 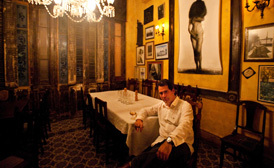 La Guarida is a Paladar located in Havana owned and run by Enrique Nuñez and his wife Odeisys. The paladar is one of the oldest in Cuba having been opened in the 90´s and staying permanently open throughout all these years. Besides the excellent food on offer, ranging from the classic Rice & Black Beans synonymous with Cuba to more exotic dishes, La Guarida will definitely please any palate. Amongst famous visitors, who´s images appear to be strewn about all of the walls, you´ll be dining in the place frequented by the likes of Beyonce Knowles, Bill Murray, Sean Penn, James Caan & Jay-Z, all of whom have dined at this restaurant. La Guarida Paladar is also famous in Cuban popular culture due to it having been the central film location of the Cuban movie Fresa y Chocolate (Strawberry & Chocolate) directed by the critically acclaimed directors Tomás Gutiérrez Alea y Juan Carlos Tabío. This is an elegant Paladar in Havana in an ideal setting, although rather expensive compared to others, the visit is well worth it after sampling the special cuisine which will surprise the most exigent clients. The La Guarida name originates from a series on Brasilian TV and a colloquial slang term to designate private cuban restaurants. Opened in July, 1996 at a fabulous building dating from the early 20th Century, the exclusive atmosphere will certainly have you longing to return to this luxury privately owned Cuban restaurant called La Guarida. This week president Obama has taken the unusual initiative to make it clear to Raul Castro that, with some change in Cuba, he is willing to talk business. Many Americans are rushing to try and see Cuba now, a sort of forbidden fruit type visit which will intrigue friends and family. The typical “oh really you went to Cuba? ?” brigade. However, these Cuba people to people exchanges are not without drawback, first up is the price…One recent trip this December was advertised at over $2000 for 5 nights stay in Havana without flight! Yes, a $400 hotel stay and a few bus rides doled out to our unwitting fellow countrymen at a massive profit for the organizers. But, those takers who can afford it say they don´t regret it, offering explanations of being “first in” as the carrot for what is an incredibly inflated price. Those Americans who are traveling to Cuba anyway, those who visit on the so called “general license” which requires no paperwork, and you just go, are seeing the real Cuba also but paying $400 for their hotel rather than $2000. So what gives? Well, first off, those who are visiting without applying are doing so under the “general license” a vague category catering for people who must be academics of some sort. They must be carrying out research but this is so broad that basically anyone can go it seems. Starting a blog about Cuba and then going to obtain factual information for your blog would appear to be just fine, as it could be deemed as “research”? So are the options limitless…? Havanatur managed to capture this nascent US market by forcing the hand of Cuba´s tourism ministry to ban local foreign operators from selling to Americans but, also, a little known 1963 US law called “trading with the enemy” preempted Cuba´s Tourism ministry anyway, because “trading with the enemy” levies massive fines on Americans who purchase travel services from what are deemed “nationals of Cuba” or more specifically those foreign or Cuban companies and travel agencies with an address and phone numbers on the island. 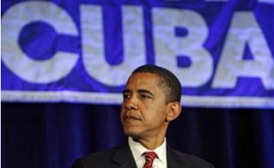 So what could Obama´s administration have in mind for Cuba? Well, almost certainly a broadening of the current travel rules to allow more Americans to visit Cuba, although, we think it’s a long shot that travel restrictions be completely lifted. Who knows? Obama won the latino vote and a big chunk are Cubans so maybe he feels convinced that change with Cuba could be a big plus historically for his presidency? Forums we scoured to get the low down on Americans who have already visited Cuba offer contrasting views on their visits to the forbidden island. A great percentage vow that while the trip was intriguing, they wouldn´t probably return, a big blow for Cuba´s aspirations of American tourism as the backbone to repair its ailing economy. On the other hand, and especially with frequent visitors who are “going it alone” (general license) there appears to be a mystique that brings them back time and time again. We think Cuban tourism officials will be happy with this “happy medium” however. Will Obama do it? Only time will tell.